realizing we have the simple cure that allows you to shoot any and all .223 or 5.56 ammo out there. While it is comforting to read what is marked on the barrel, you can’t always believe the chamber designation. You have to do as Reagan advised—trust, but verify. An important thing to remember when testing .223 vs 5.56. The early 1960s were an interesting time. The returning GIs from WWII and Korea had a decade to get things the way they liked. Two tastes they acquired during that time were varmint shooting and benchrest. Varmint shooting was simple. Various members of the rodentia clan, going about their usual business in a field or pasture, served as animate targets. They were prolific breeders, there was no limit, no season, no quitting. You could shoot all day if you wished. Well, as much as shooters then and now like to shoot, shooting varmints with a .30-06 was just silly. The recoil would beat you up, the noise was alarming, barrels got really hot really fast, and the cost of ammo, even back then, was just off the charts. You’re having a blast, when all of a sudden your rifle stops working. What happened? Well, the heat increased the already maximum-made-excessive pressure and, on extracting a fired case, the pressure had expanded the case enough for a primer to fall out of the primer pocket and into your rifle. 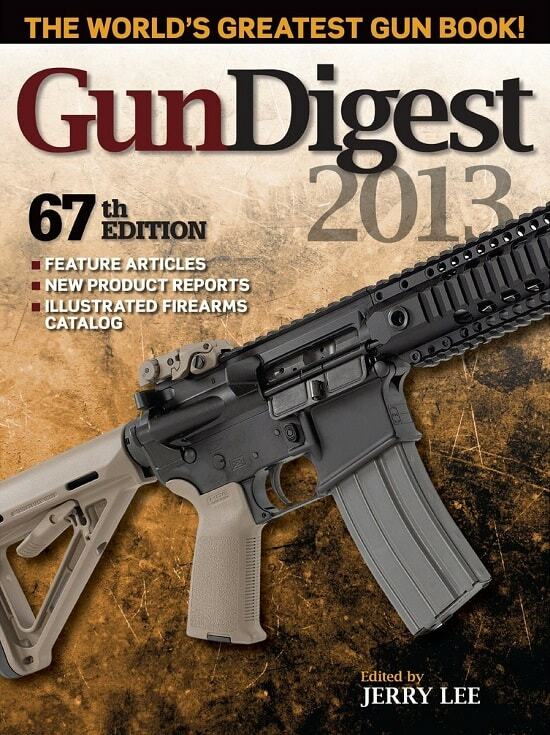 Actually, it probably has been losing primers for the last couple of magazines—pick up and inspect all your brass. You’ll see you’ve been losing one or two primers per magazine. But it wasn’t until one fell into your action and tied things up that you noticed. A common problem when firing 5.56 mil-spec ammo in an AR15 with a SAAMI-spec .223 chamber, is that once in a while a spent primer will fall out of a case as it is extracted. Sometimes the primers fall clear and there’s no problem, other times they will go under the trigger and get wedged, rendering the rifle inoperable. I’ve seen some extreme cases of this where the hammer and trigger were actually hard to get out. I’ve seen them get wedged between the charging handle and the inside of the receiver, with the bolt out of battery, so that the gun had to have the stock removed so the bolt could be removed to clear the primer. It is not unknown for the primer anvil get stuck in the tubular portion of the carrier key! Popped primers are due in part to the tighter, shorter freebore and shorter, more abrupt throat of the .223 chamber, causing a pressure spike with the hotter, mil- spec ammo. This reamer will address these areas as well as making sure the neck diameter is not too tight or short, without changing headspace. It does not cut the shoulder or anything behind it; it stops off on the shoulder. Of course, whatever rifle you’re shooting, you could just look at what’s stamped on the barrel– it might say .223, or it might say 5.56, or it might say nothing. You could call the manufacturer and ask them what chamber you have, but even if you get to talk to somebody who understands the question, they likely don’t really know. They may tell you what you want to hear, but truth is, not many AR15 manufacturers make their own barrels. They buy them from someone else, so they don’t really, truly know what chamber you have. Some of them will flat decline to discuss it with you. Please fill out and send the Mail-In Form For barrel gaging and reaming to true 5.56 x 45 NATO specifications. Click Here For Mail-In Form. Murrays Gunsmithing can modify the chamber, or more accurately, the throat and leade of your chamber, to accept any and all .223 or 5.56 ammo out there. 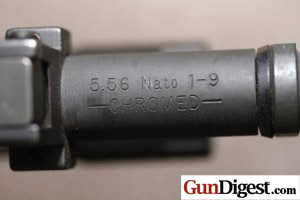 There is absolutely nothing done to your chamber that would change the headspace in any way, but the service is beneficial for anyone desiring to use NATO ammo.